Floating gem-like in the middle of the Mediterranean, the Pontine Islands are the perfect destination for charter vacations. 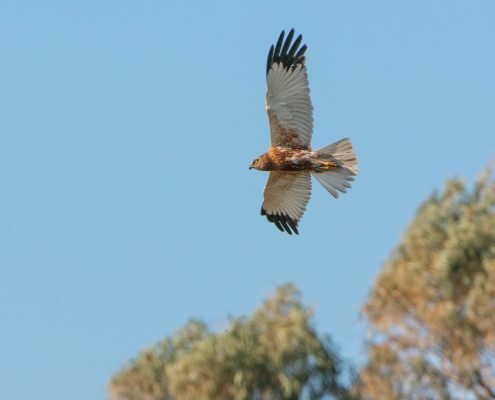 In fact, they achieve the difficult feat of delivering spectacular views, all the necessary services and conveniences, and a wealth of wonderfully wild, unspoilt oases. 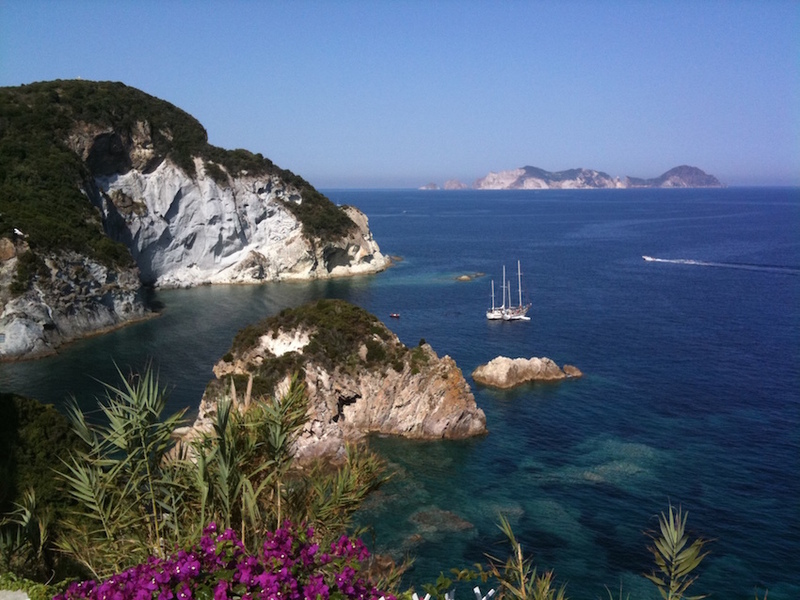 If you are looking for the perfect combination in this particular part of the world, Equinoxe Yachts can offer a great choice for luxury yachts Ponza and Crewed Charter Pontine Islands. As you sail on our quality craft, their committed, competent crews will be able to offer a slew of choices, all thrillingly different. 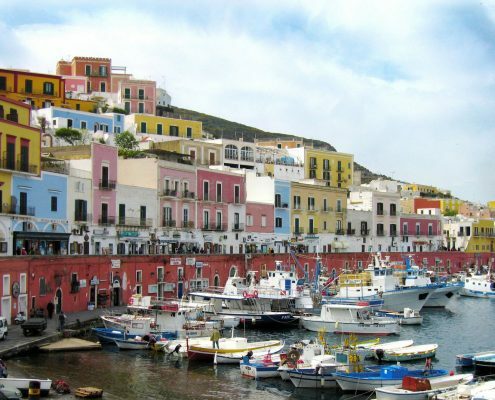 Ponza, Palmarola, Zannone, Gavi, Ventotene and Santo Stefano are the six islands making up the Pontine archipelago. They were frequented almost entirely by local holiday-makers from nearby Lazio and Campania in Italy. Now, however, they are gaining a growing reputation both across the rest of Italy and internationally. 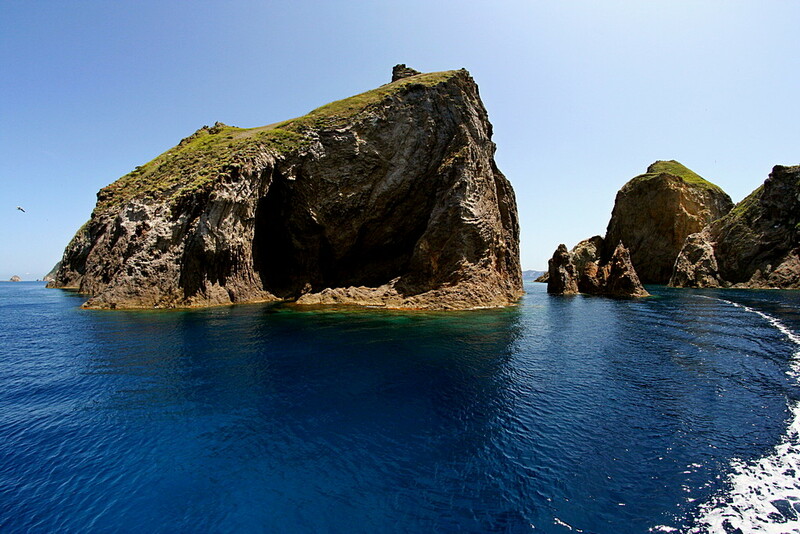 Each of the six islands has its own unique character and conformation, making the Pontines a magnet for crewed charters and luxury yachts. 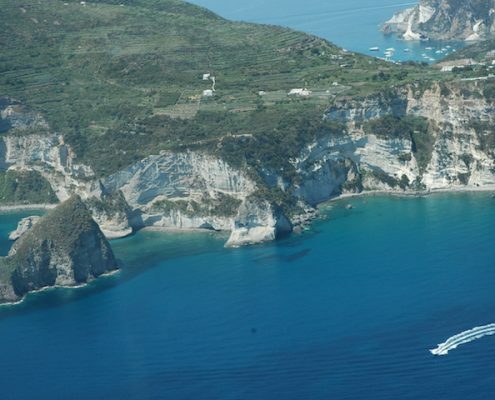 Choosing crewed charters Pontine Islands and luxury yachts Ponza is the perfect way to immerse yourself in the beauty, nature and chilled-out ambience of an authentically Italian cruise. Equinoxe Yacht has four stunning yachts in the area: Resilience, Persistence, Noi Toy and Myra. All are stars of the fleet. In fact, their exceptionally knowledgeable and experienced captains and crews will reveal the secrets of this magnificent zone and ensure you return home with a store of unforgettable fond memories. As Equinoxe client Francesco C. explains: «Navigation is simple because of the sheer number of inlets and bays, and the nature of the place is surprising too: the views change with every mile. 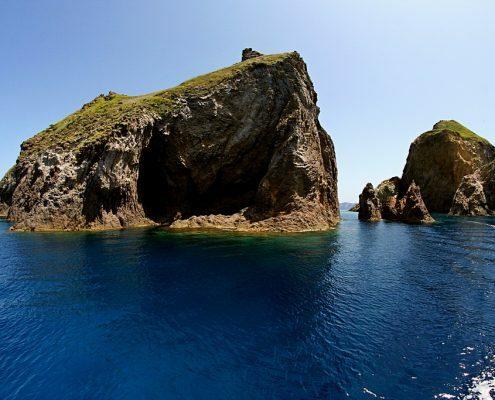 Up to the passage between Ponza and Gavi in the northern part of the archipelago, the coastlines tend to be more jagged and indented but as you sail south, the scenery changes, giving way to multi-coloured landscapes. The biggest surprise was Palmarola, the pearl of the Tyrrhenian, where the vegetation is lush and wild. It is only inhabited in summer and maybe that is what makes it so fascinating. 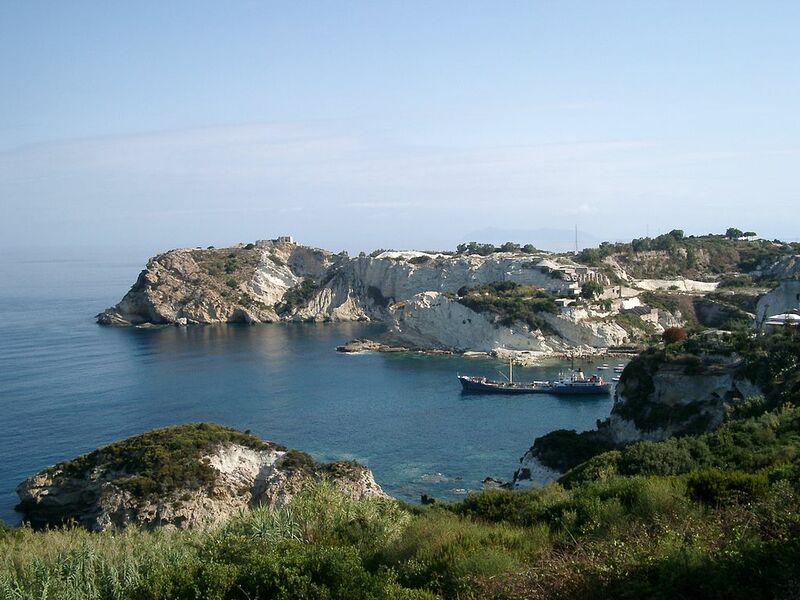 It is a one long string of sea stacks, coves and crystal-clear bays. 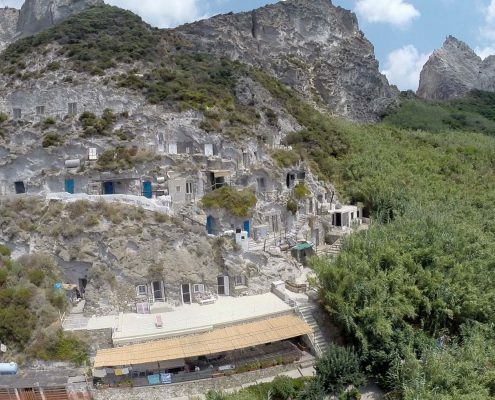 The island is also home to very unusual cave dwellings dug out of the rock to which the locals retreat in summer when the island gets very busy. 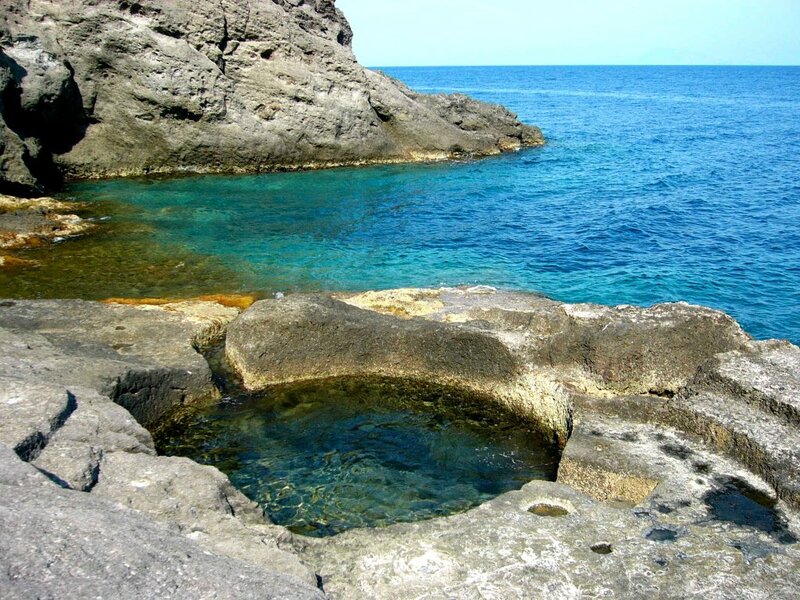 Ventotene is equally beautiful though more spartan with a Roman port hewn into the tufa and dark volcanic beaches. 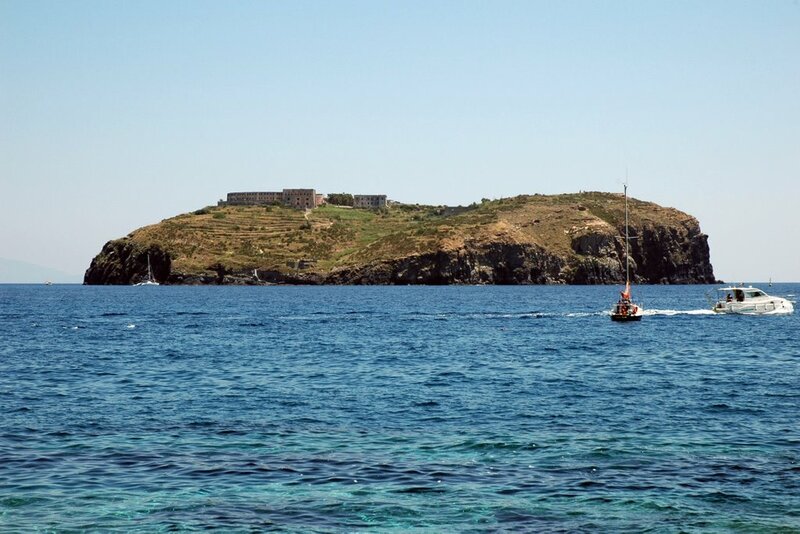 Last but very far from least, is magical Santo Stefano which is more a very large rock than an actual island. 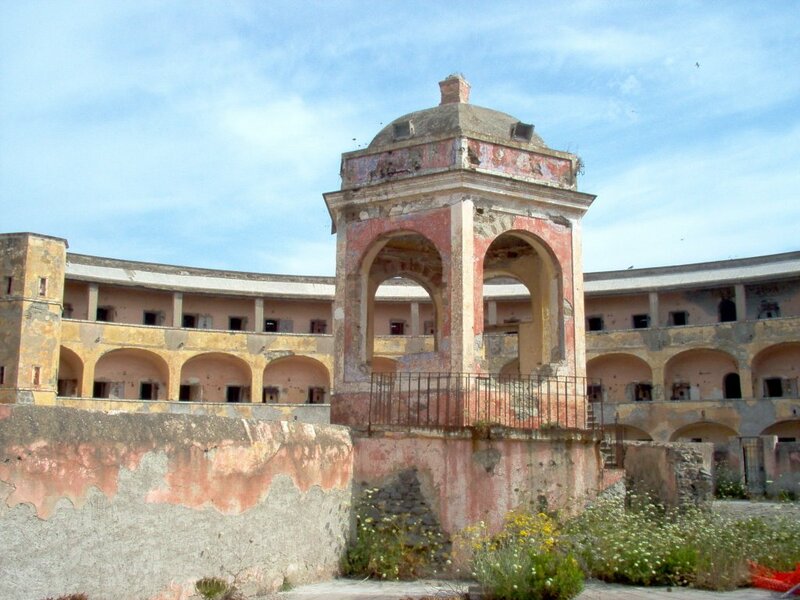 Topped by the infamous prison, it is most definitely worth a visit during which Myra’s captain, Massimo Marci, will tell you about the men once imprisoned there». The islands of Gavi, Palmarola and Zannone are part of the Parco Nazionale del Circeo, a heavenly marine reserve that, although just a few square kilometres in size, encompasses a stunning variety of sea grottos, Mediterranean maquis forest, coastal lakes and sand dunes which are home to many different mammals and, of course, bird species which either nest there or pass through as they migrate elsewhere. 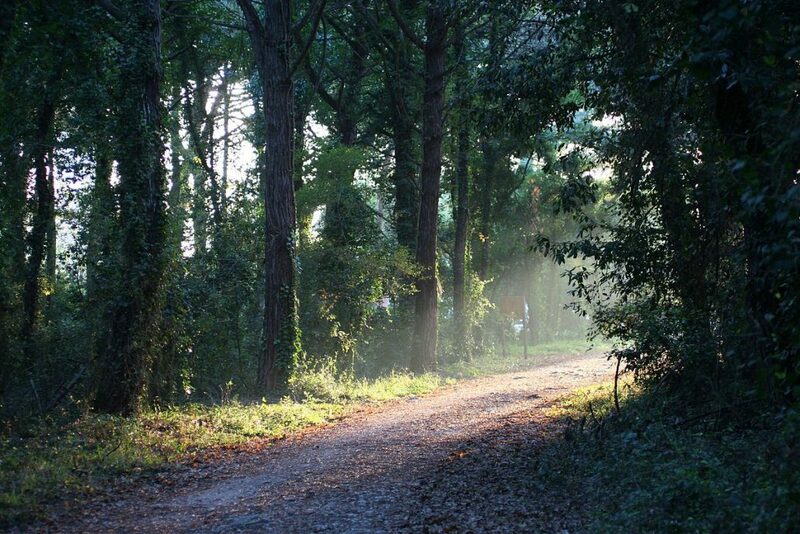 Zannone, in particular, was incorporated into the Circeo National Park in 1979 and so its lush, rich vegetation has been preserved intact. 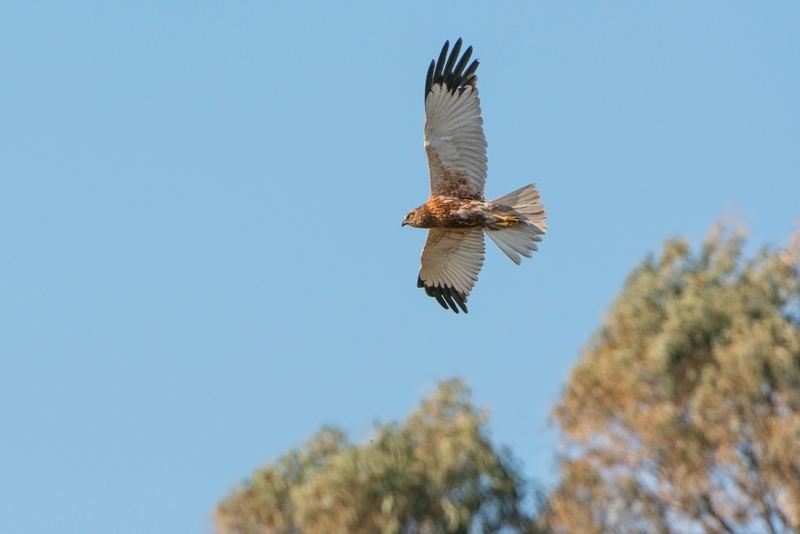 Evergreen oaks abound and provide nesting for a long list of different bird species. 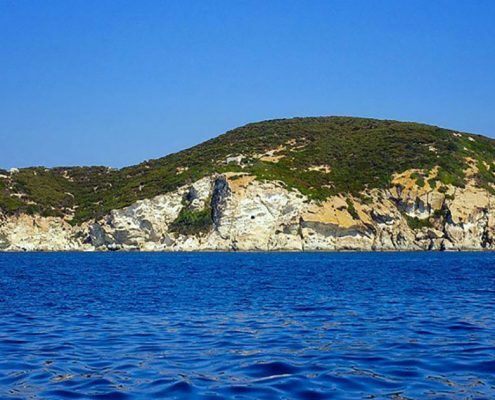 There is even a flock of mouflon, a type of wild sheep with large curving horns, which were introduced to the island from Sardinia in the 1920s and are now protected. As is the case on Palmarola and Gavi, the flora is both astonishing and very colourful with lots of juniper, myrtle, tree heath and wild olive. If you are into trekking, then a hike into the interior will tick a lot of boxes because as you make your way up the side of the island you’ll also come upon mulberry bushes and evergreen oak. The lushness of the island’s landscape is brilliantly reflected in its undersea world. The submerged cliffs and walls are covered in dense colonies of sea fans which provide a habitat for incredibly colourful fish species. All are completely protected, of course. 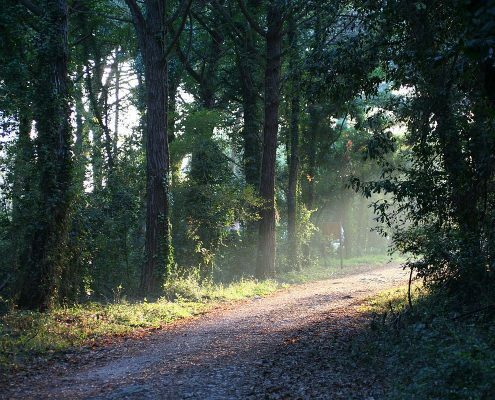 Sport and nature lovers are not the only ones that will find the Circeo National Park fascinating, however. 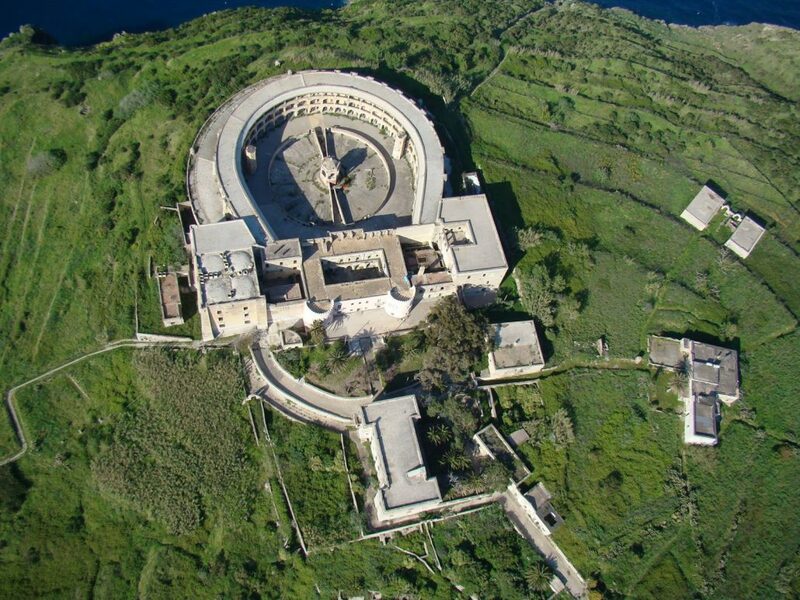 It is also paradise for history and archaeology buffs. Zannone, for example, has been inhabited since prehistoric times and in the 13th century, the Benedictines chose it as the location of the now-ruined but very beautiful Monastery of Santo Spirito which was later taken over by the Cistercians. 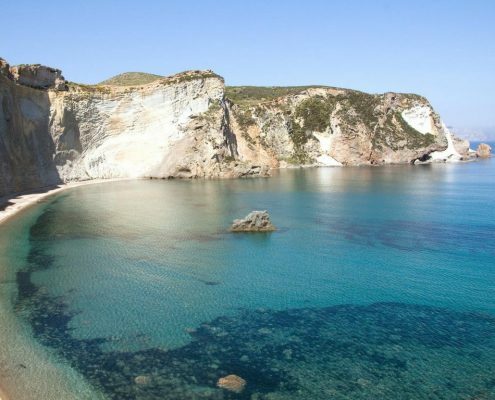 The Pontines are most definitely the wildest and most unspoilt of the Tyrrhenian Islands but each one is very different. 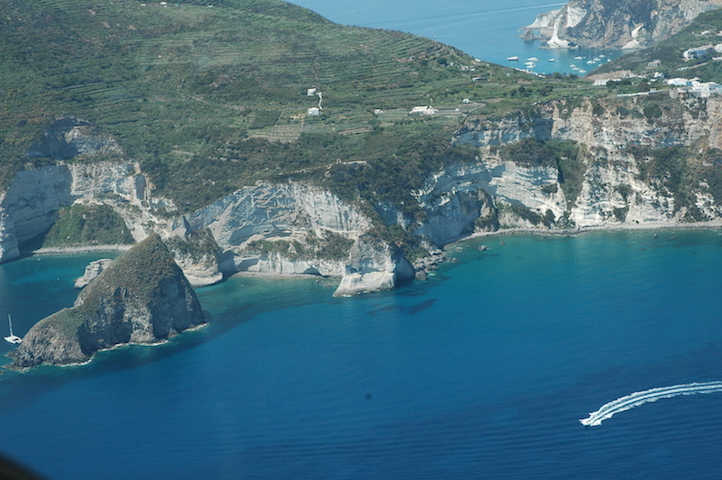 Ponza is the most touristy and a real celebrity magnet. This is where the international jet set come to hang out in its charming restaurants and bars, and shop in the tiny traditional stores. 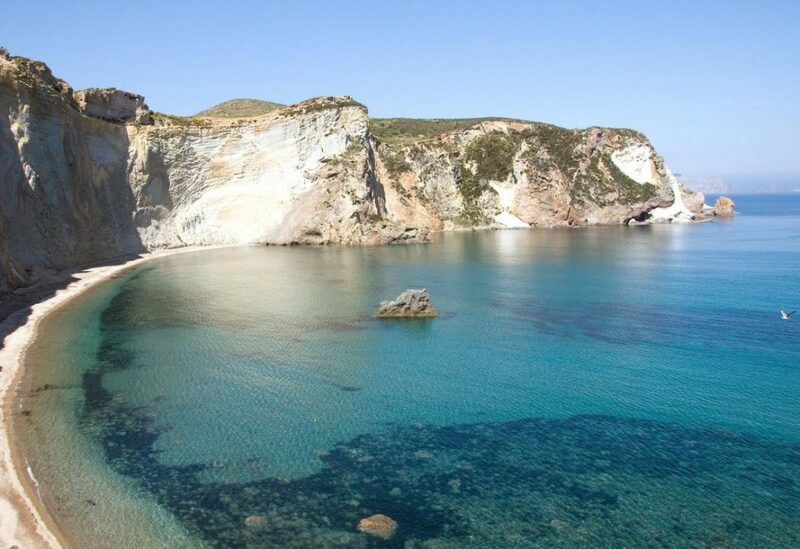 The glittering turquoise waters that surround Ponza are teeming with fish and other marine life, making them perfect for diving and snorkelling. 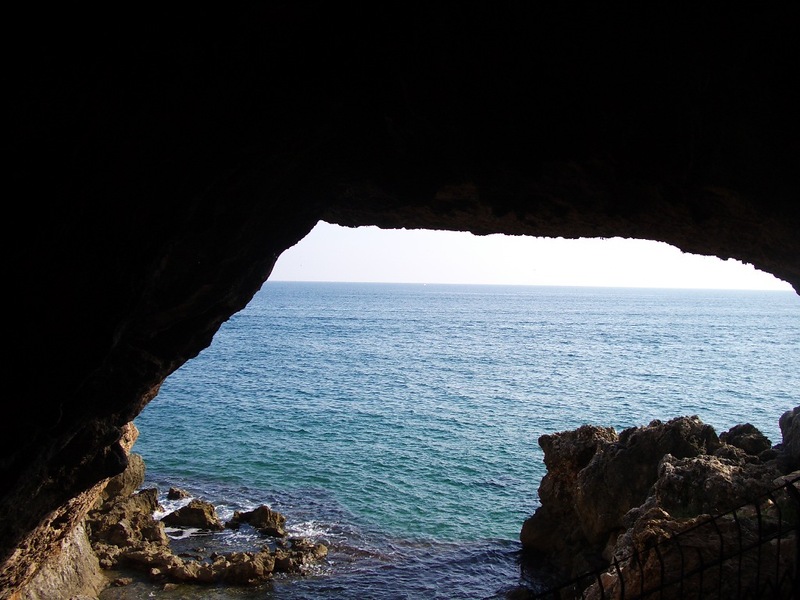 The sea caves around the Scoglio della Botte and the Formiche are a group of rocks that skim the surface of the water, creating gorges up to 30 metres deep as well as a drop of over 50 metres to the sea floor. Red sea fans abound with moray eels and groupers as their tenants. The most famous and thus also the busiest beach is the little Chiaia di Luna which backs onto high cliffs but is better enjoyed from the water as the cliffs are unstable (access from the shore is limited). 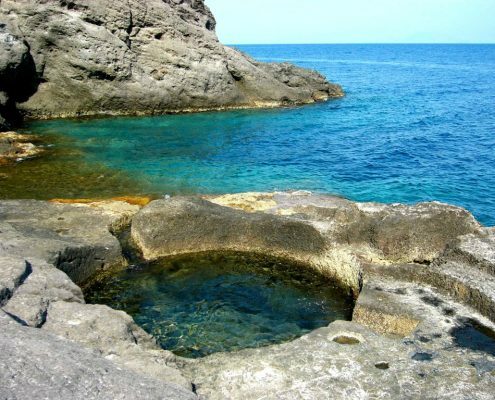 Don’t miss the pretty, crescent moon-shaped Cala Fonte with its powdery fine sand and emerald waters. 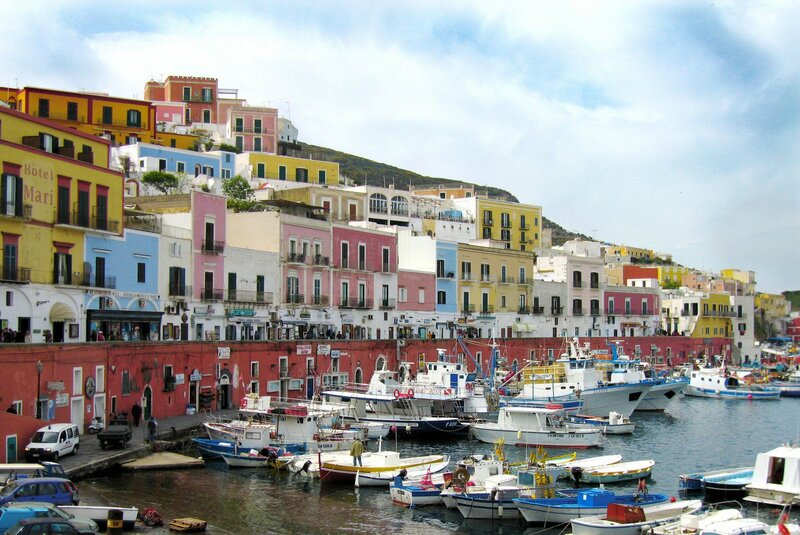 It has long been the jewel in Ponza’s crown and was once a port of refuge for local fishermen. In the 19th century, wells were sunk into the rock and used as lobster tanks. 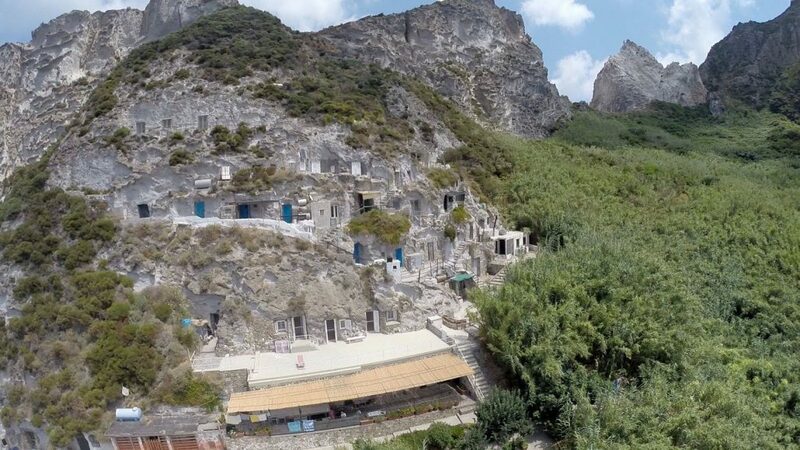 Also very beautiful are the cliffs and romantic Faraglioni di Lucia Rosa (Lucia Rosa’s Sea Stacks), which are named after a tragic girl named Lucia Rosa who threw herself off the cliffs because she was prevented from marrying the man she loved. 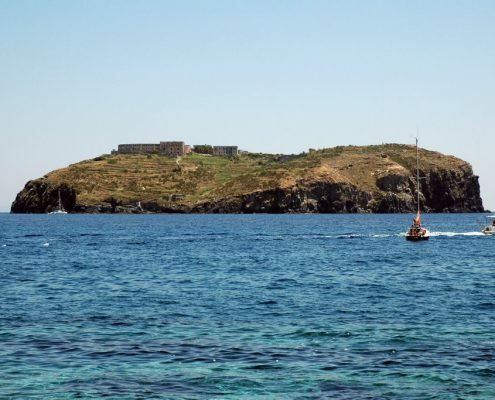 Visitors can expect a very different experience on Ventotene, which is a favourite with both diving fans and those seeking a little peace and quiet. The astonishing contrast between its black volcanic sand and turquoise waters makes the island truly special – it’s a great place for underwater photography too. Punta Pascone is lovely also, but equally enchanting and very chilled are Calarossano, Parata Grande and Cala Nave. That said, the best waters are in the marine reserve to the north. Palmarola is considered one of the most beautiful islands in the world and is a blissfully unspoilt nature reserve. It is also known as Forcina (hairpin) because of its unusual shape. The only place to come ashore is at Cala del Porto, where there is also a lovely pebble and sand beach sheltered by the big San Silverio Sea Stack. 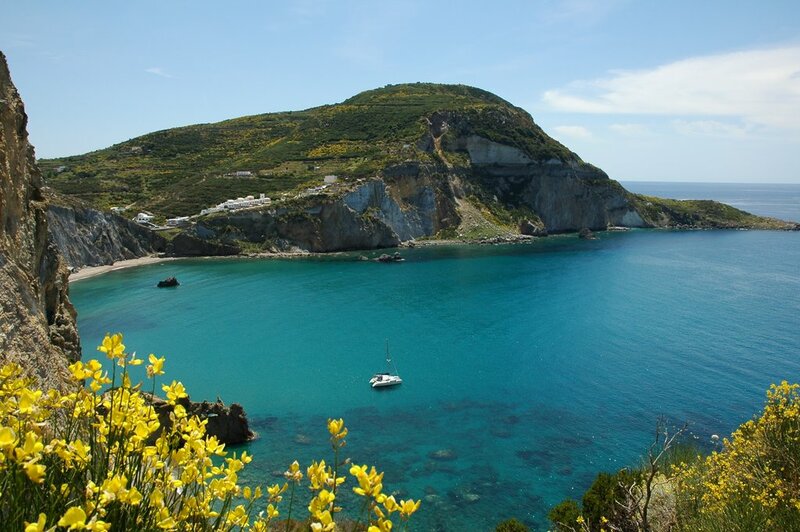 Even Homer fell under the spell of these lovely isles, particularly Ponza which in The Odyssey is referred to Aeaea, a name linked by some to the Greek goddess called Eos (Aurora in Roman mythology) who it is said lived there and brought light to the winds that prevail over the island. 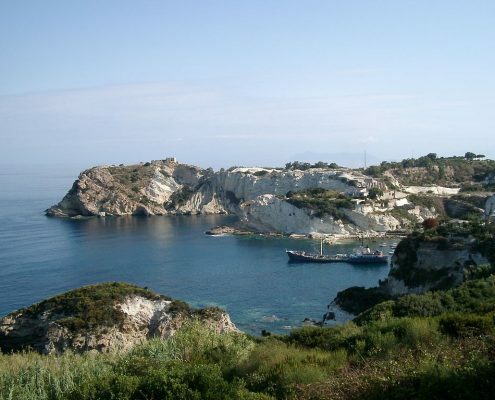 In one version of the tale told by the legendary Greek poet, it was here that Circe, who lived on the island, turned Odysseus’ men into pigs and then lived with him as her lover there for many months. He finally escaped to Ithaca but then, returned out of love for Circe who imprisoned him in her grotto for the rest of his life. 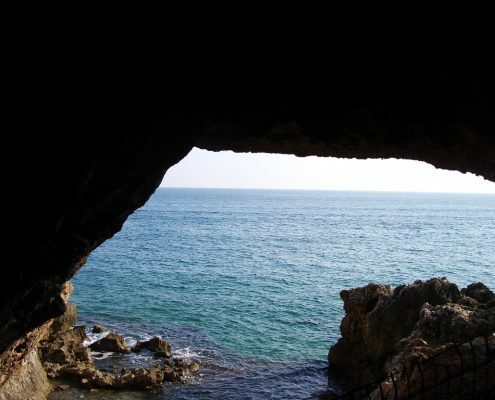 The island is, in fact, home to the Cave of Ulysses, which is a popular lovers’ meeting spot because legend has it that lovers that declare their love for each other there will be together forever. But there is more to these islands than wonderful legends and myths. History has left its mark too. 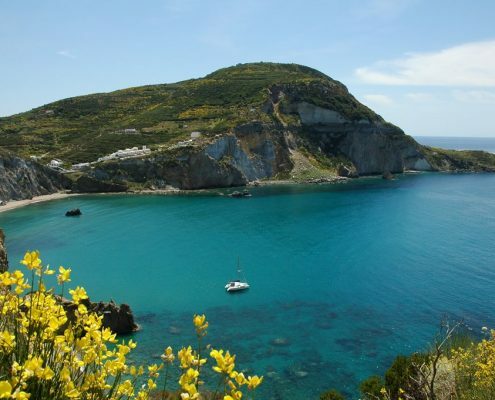 Ponza is home also to the ruins of a Roman villa, Roman water cisterns and an aqueduct from the same time as well as early Christian burial grounds near Bagno Vecchio in the western part of the island. 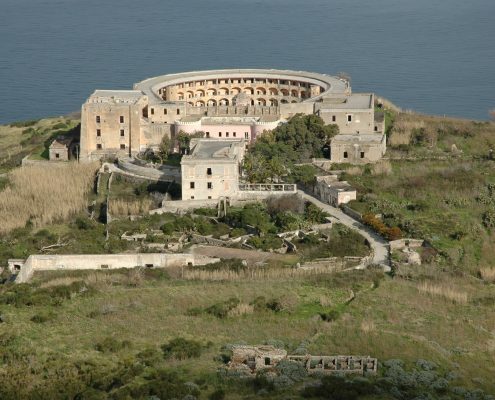 Santo Stefano, on the other hand, has its infamous, now-disused prison, which dates back to the days of the Bourbon occupancy of the islands. Its odd fortress-like shape was chosen for a variety of reasons. First and foremost of these was to ensure that that all the cells faced inward into the interior of the complex and then to allow the few guards there were, to watch all the cells at the same time from their position in the centre. 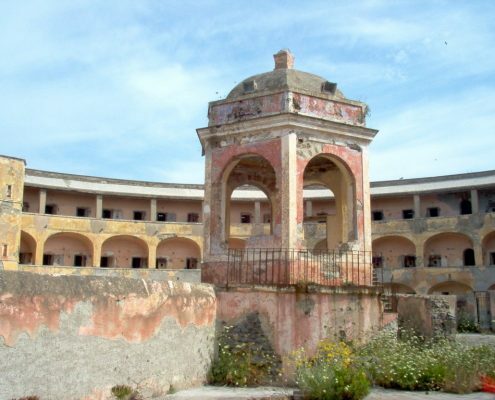 A long list of famous names were held prisoner here over the years, not least the anarchist Gaetano Bresci who assassinated King Umberto I at Monza in 1900 and Sandro Pertini, an opponent of the Fascist regime. 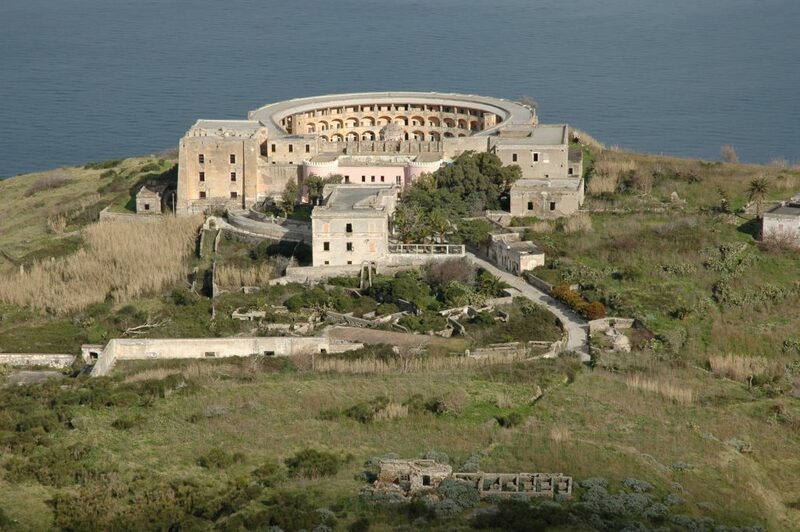 Other anti-fascists were imprisoned on nearby Ventotene, including Altiero Spinelli and Ernesto Rossi who wrote his Ventotene Manifesto there in 1941 to urge European nations to unite. The rest, as they say, is history…..